Popular comedian, 55 year old Jim Carrey has been making us laugh since the 90s in hits such as Dumb and Dumber, The Mask, Ace Ventura and the side-splitting Liar Liar. He displayed wonderful acting range in The Truman Show and most notably Eternal Sunshine of the Spotless Mind, which is regarded as one of the greatest films of the 21st century. While co-star Kate Winslet received an Oscar nomination for it, Jim did not. 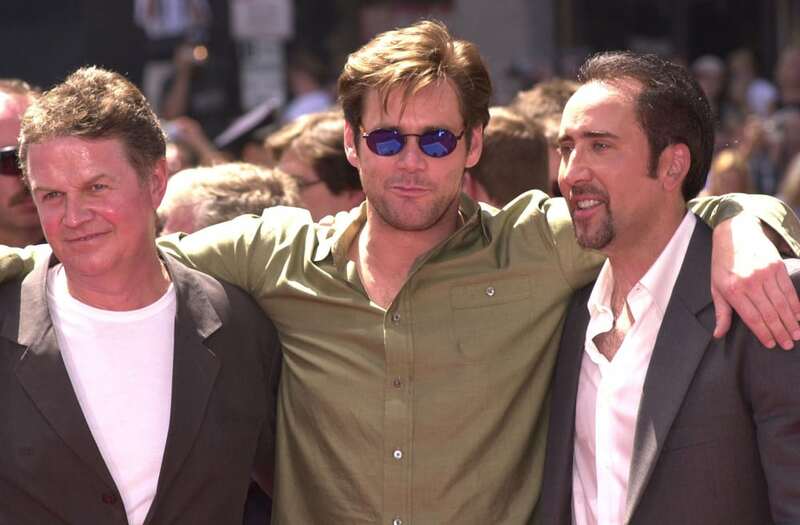 In the photo, Jim is shown with John Madden and Nicolas Cage.